The President assures that he will bring 250 stranded OFWs from Saudi Arabia with him when he returned to the Philippines after a series of visit in the Middle East. 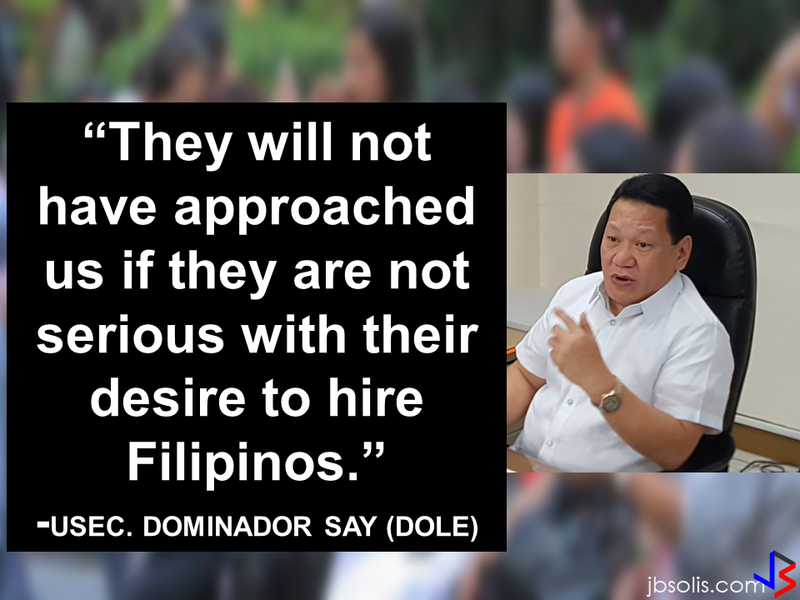 During his speech in Davao before his departure, he said that God-willing, he will bring some OFWs in death row with him when he return to the country. 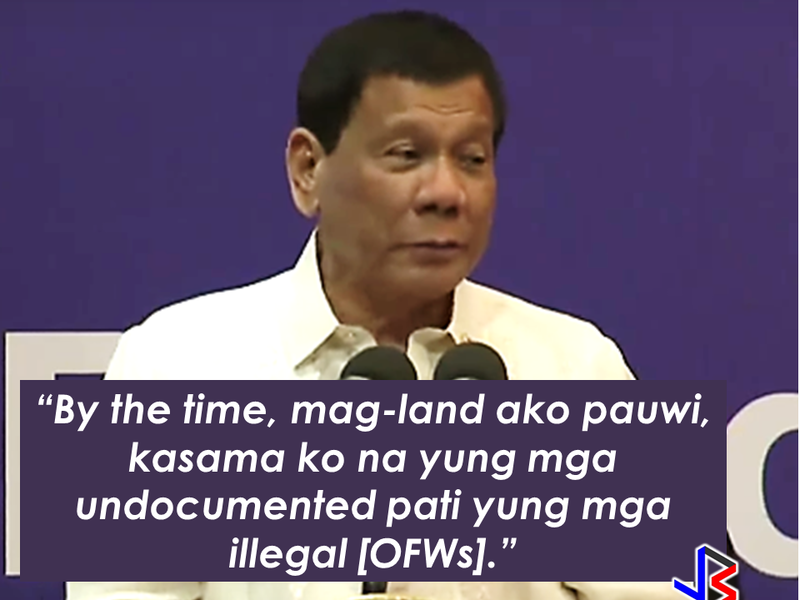 During his speech in front of the Filipino Community in Riyadh , Saudi Arabia, President Duterte said that he will be bringing home the first batch of 250 OFWs who had been stranded in Saudi Arabia for a very long time, and they will continue to do it. "We are arranging for the transportation of 250 OFWs who hopefully be back to the Philippines in time for the return of President Rodrigo Duterte.., " DOLE Secretary Silvestre Bello III said. Secretary Bello also added that since the announcement of the Saudi Crown Prince Deputy Prime Minister and the Minister of Interior Prince Mohammed bin Naif Al Saud about the amnesty program for expats, DOLE has already sent an augmentation team to assist the OFWs to comply with the requirements for the amnesty and a lot of them have already availed it. 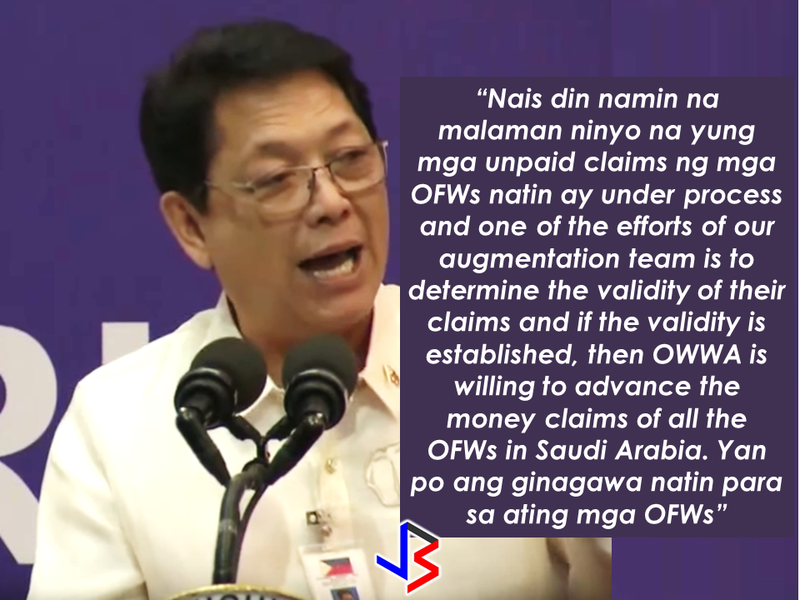 According to Secretary Bello, they are also working on the unpaid claims of the OFWs and they are only validating it in order to establish their claims. If they are all been verified, OWWA will be paying their money claims in advance. President Duterte will also be visiting Bahrain and Qatar after his visit to Saudi Arabia and is expected to be back in the Philippines on April 17. 30 Things to Stop Doing to Yourself. Why We Can't Seem To Put Our Smartphones Away?